Home » Kama Ayurveda » KAMA AYURVEDA introduces Pure Lavender Water! KAMA AYURVEDA introduces Pure Lavender Water! 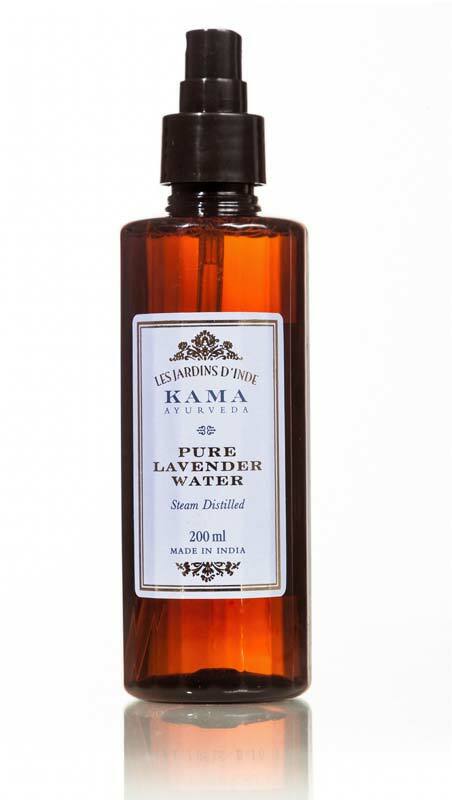 March 2014: Kama Ayurveda introduces Pure Lavender Water, a natural and refreshing face and body mist to soothe and hydrate your skin this summer. Steam distilled from handpicked Lavender flowers from the wild in the Himalayas, this lavender water has unparalleled soothing properties that provides an instant boost to the skin and reduce stress. Lavender’s sweet fragrance is clarifying and refreshing to start or finish, a long day. Kama Ayurveda Pure Lavender Water is an excellent facial toner, it cools & refreshes in hot weather. KAMA Ayurveda harnesses the power of nature, using ancient wisdom and well being traditions of Ayurveda. KAMA Ayurveda partners with the Arya Vaidya Pharmacy (AVP) in Coimbatore, which ensures strict quality control, tested effectiveness and highest standard of research and development. All the while following and expanding ancient Ayurvedic texts. Today Kama’s beautifully designed and packaged products are used in select Retail stores, resorts and spas worldwide including: The Oberoi Hotels & Resorts, Aman Bagh, The Imperial, The Four Seasons Hotel Maldives, Island Resorts Mauritius and Good Earth. Kama has recently won multiple prestigious awards such as the Images award for the ‘Most Admired Launch’ of the Year for a Beauty Retailer, the ‘Best packaging design’ by the Confederation of Indian Industries and the National Institute for Design (CII-NID) and the CII-NID Environmental Graphics Award for the design of the Kama store in Khan Market, their first exclusive store in the country.